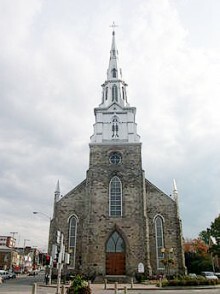 FILE | Saint-Germain Cathedral has been in the center of Rimouski for more than 150 years. It has contributed to the displacement of ecclesiastical and political powers towards the east of the province and since now more than two years, it has been condemned. While public consultations on its future will begin in the coming weeks, here is an overview for a better understanding of the issues that affect the cathedral.